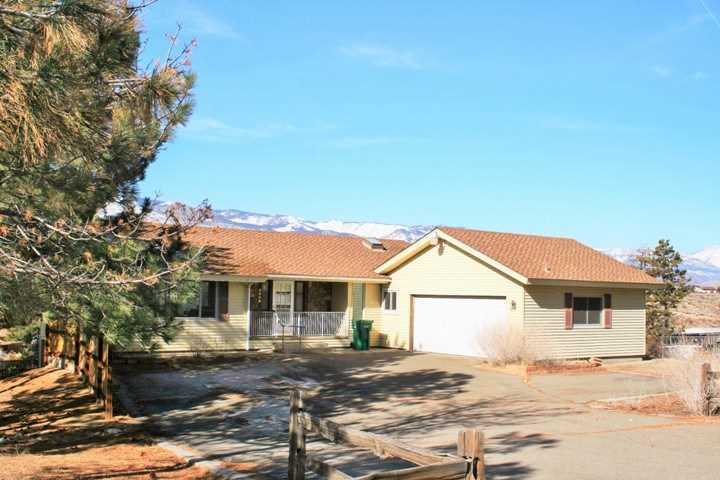 Large home on 1 acre in Carson City. Great views of the Sierra's, city lights and valley. Spacious deck. Metal or vinyl easy care siding. Roof and windows appear to be newer. Master bedroom has walk in closet and door to outside. 2nd bedroom also has walk in closet. Kitchen has a good size eating area plus formal DR space in living room. SchoolsClick map icons below to view information for schools near 5500 Gentry Lane Carson City, NV 89701.